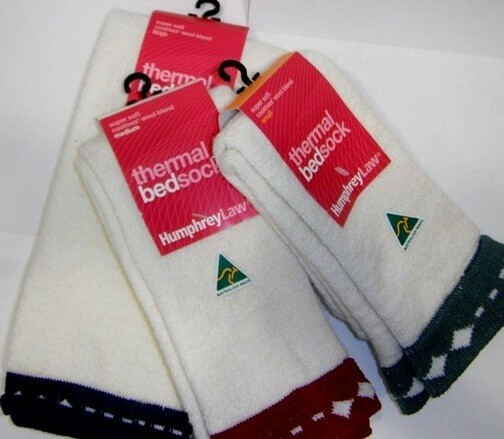 This bed sock is made with super-soft CoolMax® loops inside to keep sensitive skin dry and warm. Long fibre fleece Wool is knitted on the outside of the sock for maximum warmth. The loose design does not restrict circulation and the sock slips on easily because it has no heel. For indoor use only. Helpful for people who have thin, easily damaged skin, cold feet caused by bad circulation, or swollen feet. Sizes: Small, Medium or Large. Please note that we do not always have all sizes and colours available so may need to order these in for you. Call us on 03 378 6266 to check availability.